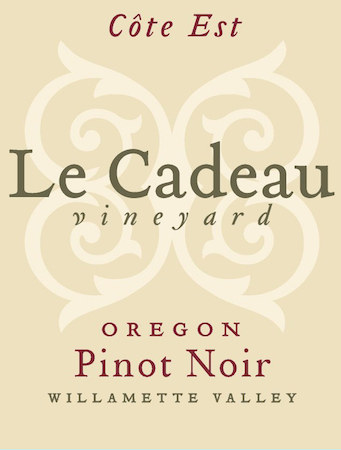 Tom and Deb Mortimer began to establish Le Cadeau Vineyard near Newberg, Ore., in 1999, and their Côte Est Pinot Noir comes from vines that were part of that initial planting. That Côte Est blocks are in the cooler, eastern portion of the vineyard, so they are harvested last for this project by winemaker Steve Ryan. He crafted this in a nice, jazzy style that’s filled with dark cherry, raspberry and Craisin, making for a rich mouth feel that includes baking spice and Juniper Ridge Douglas Fir Spring Tip Tea.